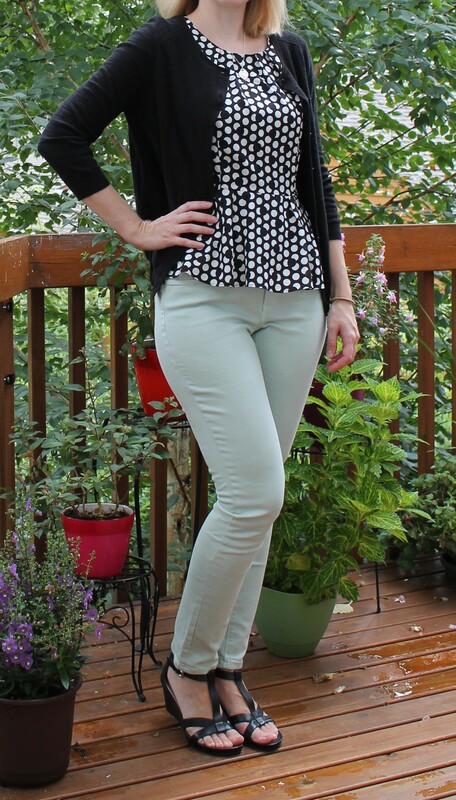 Today I pulled out my favorite pairs of skinny jeans in a light mint color. I paired them with a polka dot peplum top (what else), a black cardigan, and some wedge heels. I love the color combination of mint + black and white. This peplum top in particular is good for pear shapes.